Kageyama encourages players -- both in fuseki and yose -- to resist the temptation to defend against an attack, and instead to charge ahead and wage a counter-attack. Do others agree with this? It makes a little more sense to me during yose, because the situations are more drastically different, and you might have more of an advantage there. 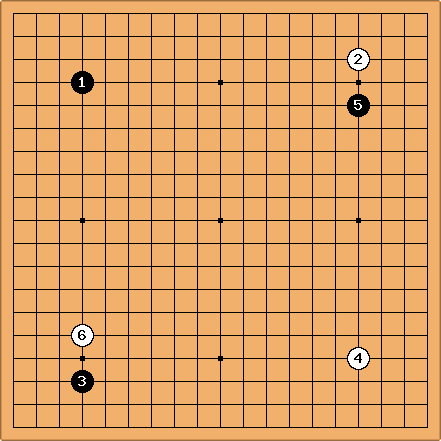 One might be at risk of committing the "Following the Opponent Around" mistake when one does not counter-attack.